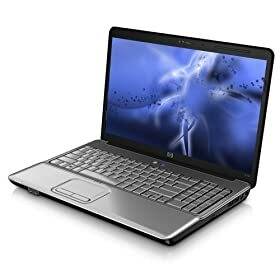 HP Pavilion G60-230US 16.0-Inch Laptop (2.0 GHz Intel Pentium Dual-Core T4200 Processor, 3 GB RAM, 320 GB Hard Drive, DVD Drive, Vista Premium); the new G60 series is defined by minimalist lines. High-gloss reflective top cover and palm rest area surfaces contrast cleanly with matte everywhere else. HP Imprint finish in piano black on the top cover with silver across the palm rest and touchpad provides greater durability than traditional painted surfaces. The streamlined look is enhanced with a color-matched keyboard and touchpad. The HP G60 series delivers easy-to-use entertainment. Enjoy full-screen DVD playback on the crystal-clear 16:9 16.0" diagonal HP BrightView display. Burn audio CDs and DVDs to share your favorite songs and video clips with friends and family. Create custom laser-etched disc labels right in the drive with LightScribe and preinstalled Cyberlink DVD Suite. Just burn data on the disc, flip it over and burn the cover image using any scanned image and/or text. Built-in Altec Lansing speakers bring your entertainment to life. And the 5:1 digital media reader enables photo transfer in seconds.